If your like me you see spring as a time to put away those combat boots, chunky sweaters, and ladies….Those warm cozy tights. While some love the bright colors, tank tops, and shorts of it all; some do not. This spring iv promised myself that ill look forward to the upcoming months, and those of us that live in Dallas…the hot summer daze on the way. With that being said i thought to myself, “One of the biggest trends has been this rocker chic” (which i’m obsessed with) so i wanted to show how you can incorporate that into your spring wardrobe. First pick a color, obviously black is go to for “edgy” however army green, royal blue, and bright reds work well, too! Throw on a cute loafer (use this as a pop of color opportunity), neutral bottoms, and have fun on the top. One of the easiest ways to look fashion forward and chic, is as easy as 1,2,3….Pieces always! 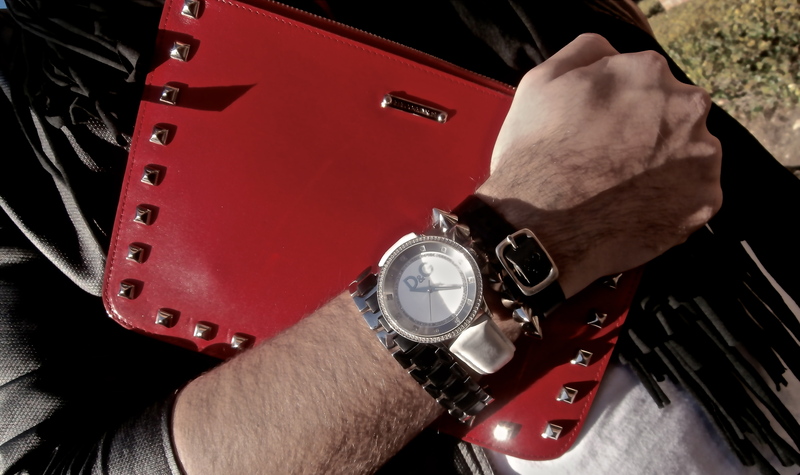 And to top it off don’t forget that arm candy! 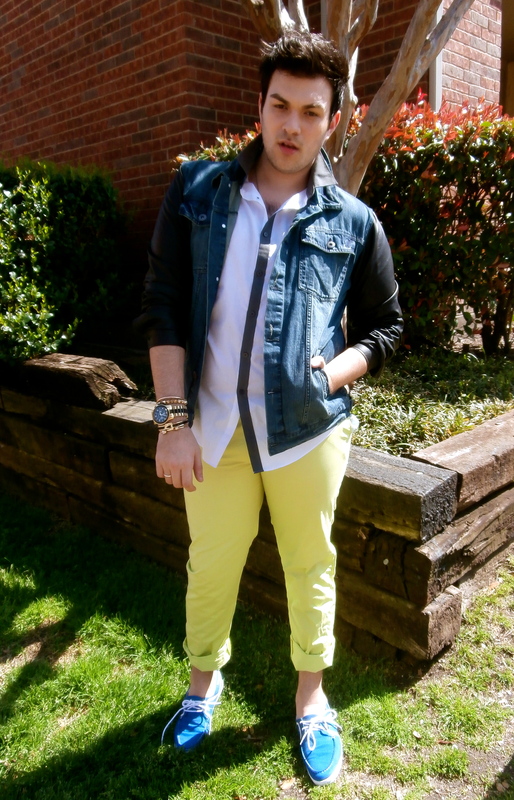 One of the biggest trends this spring is neon, neon, neon. A lot of people are often scared of this, which i can understand but you have to know how to pull it off. 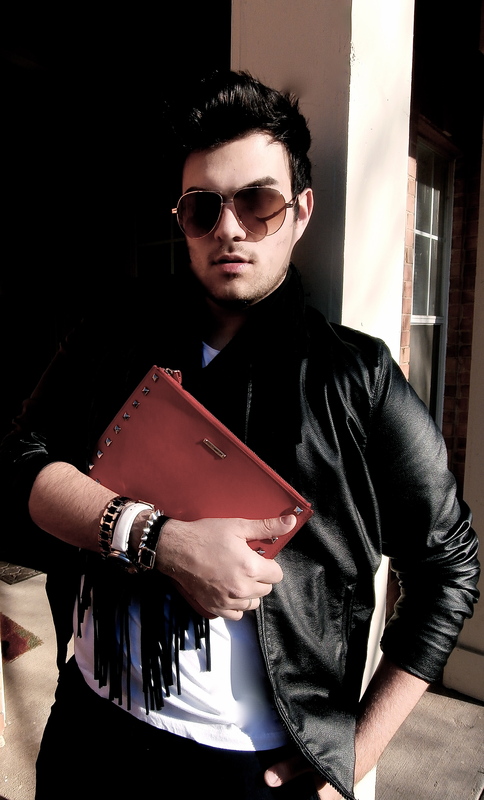 Im all about keeping it neutral, so wearing it with black or even a denim piece like i have here! I love it with white shoes and white blazer as well. A great way for women to wear this color is with nudes, this really lets the neon pop and keep it all about your beauty. 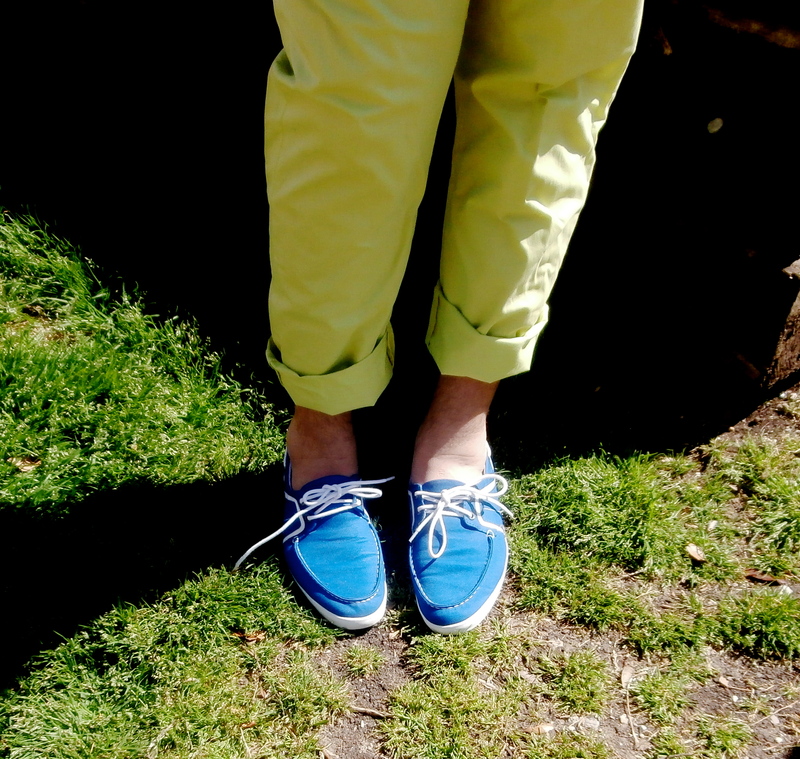 I decided to do a color block with these great boat shoes by ZARA, this keeps it fun and totally Miami yacht ready! NECKLACE : Custom Arabic on mother of pearl. From the second I saw Sarah (My Blue Bell) I knew she had to be on the blog! she got it right from head to toe! 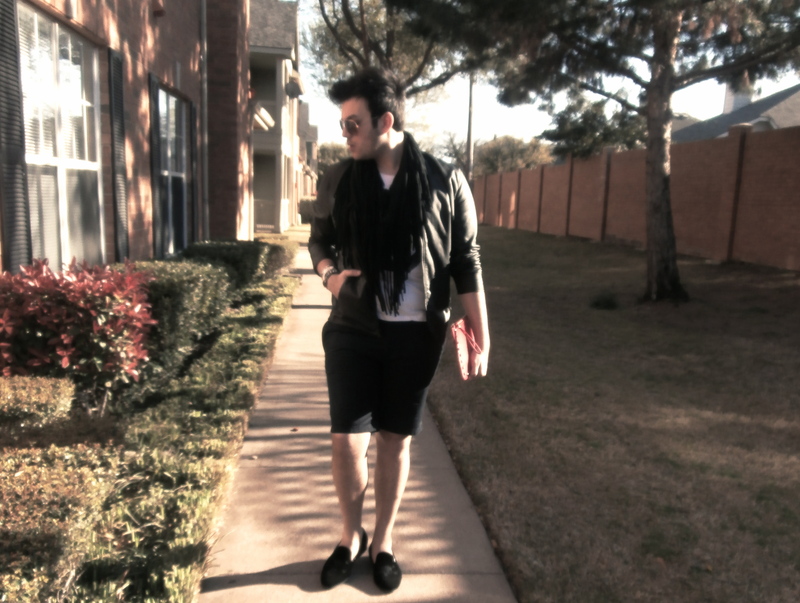 While this look could be boring just for evening, its perfection for daytime fashion forward realness! What I love about this look is you could run around all day in this then throw on a funky shoe and dazzle it up with jewels for cocktails with the girls! The first thing Sarah gets right here is that she’s not mixing too many statement pieces at once! Its all about this Blazer and I love it, I love it, I love it! !